Yep. You guessed it. I went to a baby shower yesterday. My sweet friend is having her first baby and I wanted to make her something special. Since I am no-good at baby blankets; read: my daughter’s ‘special’ blanket is still on the needles; so I decided making a baby blanket wouldn’t be the best choice… I opted for a rattle. 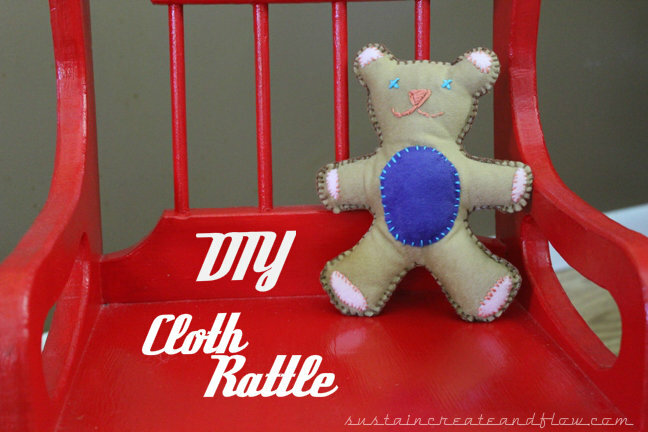 Collect bits of old cloth, (or raid your mother-in-law’s cloth stash like I did). Any kind of cloth will do, but a cloth that doesn’t fray too terribly at the ends will work best. (I have made a salmon out of corduroy and the poor guy isn’t holding up to well. I don’t recommend cord). 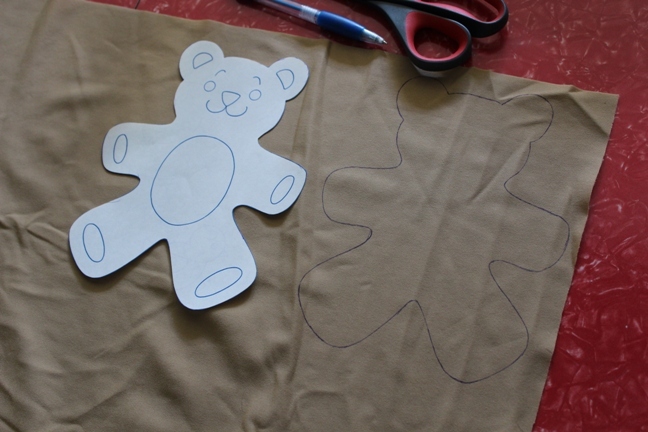 Draw or trace the shape you wish the rattle to be onto the fabric and prepare to do your very best cutting to cut out the shape from the cloth. You can free-hand draw a shape, or trace one like I did this time. 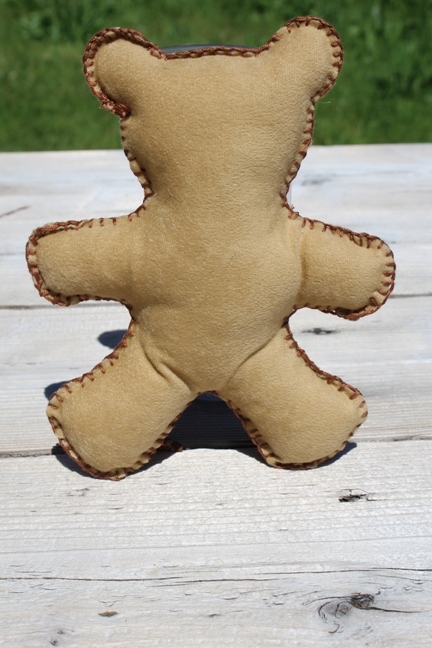 Remember, you want the shape to be sort of blob-ish, making it easier to sew. My first time doing this I made a salmon (named Sammy), and he was easy to work with–not a diva at all! Sme other ideas might include: star, duck, fish, heart, crescent moon, triangle, etc. You get the idea. Avoid super intricate things like an octopus… or a fork. You might want to consider pressing your material. I didn’t, and my little bear turned out just fine. 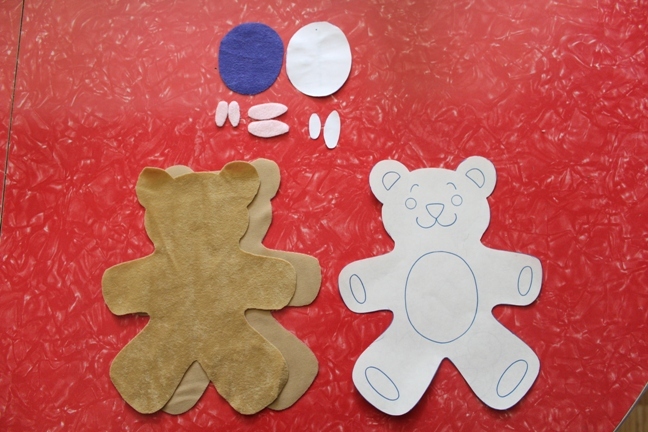 Once you have traced and cut out two shapes, stack them on top of each other to trim any imperfections. 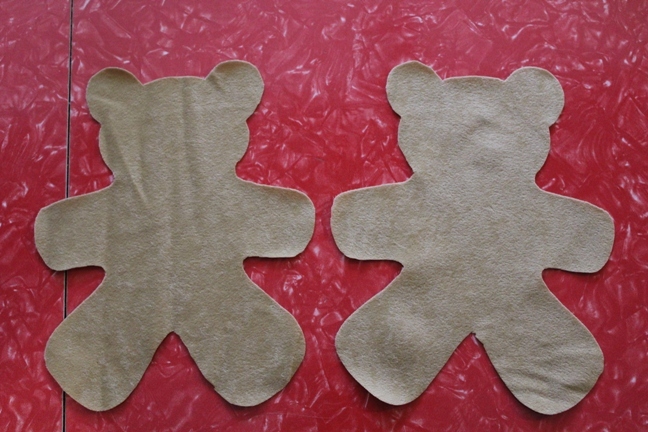 I chose to also cut out shapes that served as embellishments for the ears, paws and belly. The really made my little bear so much cuter. 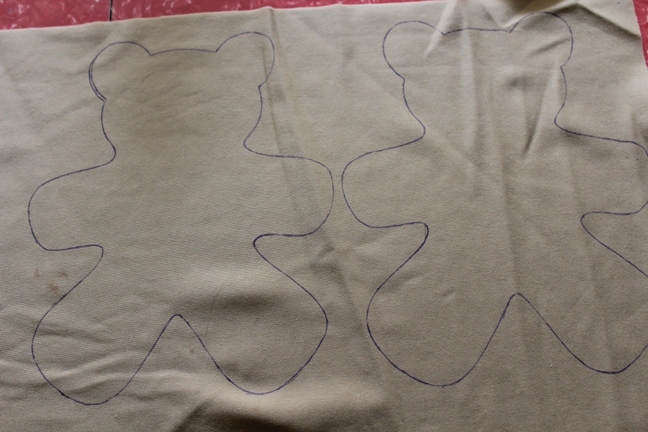 I made patterns for the little embellishments to trace onto the fabric because I don’t always trust my drawing skills. 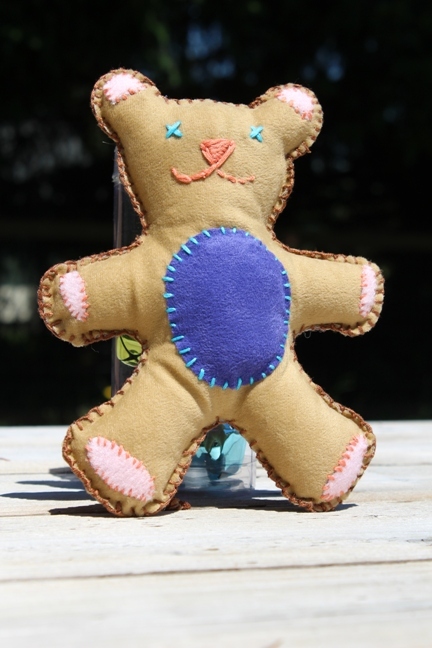 Using embroidery floss , (yes, that stuff you made friendship bracelets out of when you were a kid), I stitched down the little bear’s ear embellishments and made him a face. Buttons would have been cuter, but, since this is for a baby I wouldn’t take the chance! I proceeded to stitch down all of the embellishments using embroidery floss . 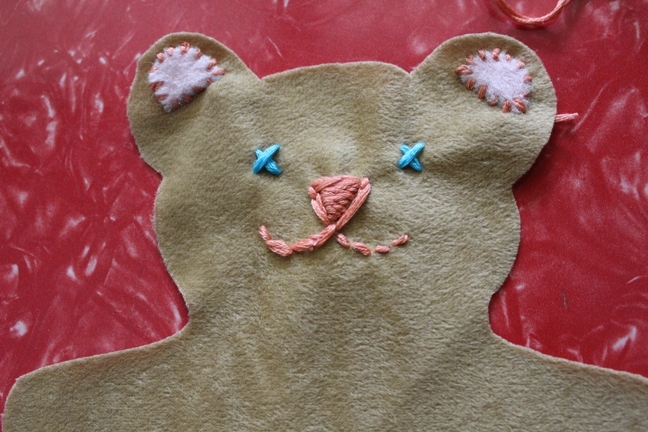 As you can see, I stitched my embellishments too close to the edge, because once I stitched the outer edge of the bear shut, they were too close to the edge. Take heed, gentle reader. Learn from my mistakes. 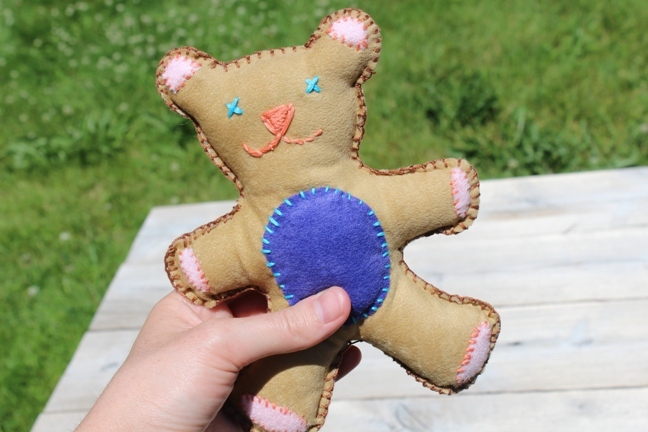 This picture doesn’t illustrate it very well, but once I stitched on little bear’s tummy embellishment, I lightly stuffed it so it would stick out a bit. That was spur of the moment addition, and it really complimented the bear quite nicely. (See what I mean about too close to the edge, look at his paws)! I gave him a good stuff and added a jingle bell for the rattle. I was sure to stuff around the bell and not have it too close to any of the outer edges, to keep the rattle plush. 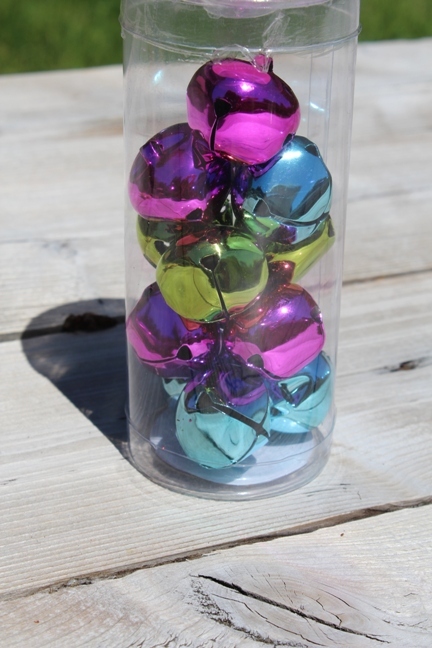 If you have a plastic Easter egg lying around, you could fill it with buttons or beans or rice, and use that instead of a jingle bell. (Improvise. Improvisation often yields the best ideas). I left the back of the little bear plain. Let’s chat about it on facebook! Be sure to Pin this post for safe keeping. You never know when you’ll need it!